The Federation is working with researcher Carol Marcus to test the Genesis device, which is designed to bring new life to dead worlds. The ship sent to help Marcus test the device has been out of contact with the Federation. Captain Kirk is feeling like an old man. He is on a two-week training mission with raw Starfleet cadets on the USS Enterprise, which has been relegated to duty as a training vessel. The training flight is diverted to investigate the loss of contact with the Genesis project. 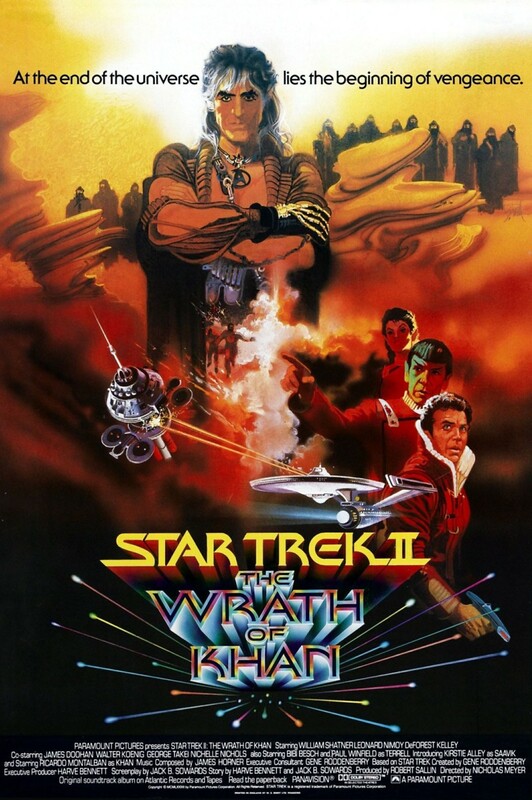 When they arrive, Kirk runs into an old nemesis, Khan Noonien Singh. Singh wants revenge on Captain Kirk for stranding him on a planet that turned into a wasteland shortly after the Enterprise left. Kirk and his crew must stop Singh and save the Genesis research team.